My 2 year old daughter asks for her Omega every day. She cant always chew the gel but she at least chews on it until she gets all the oil out of it. Not sure how she does it but she likes it. 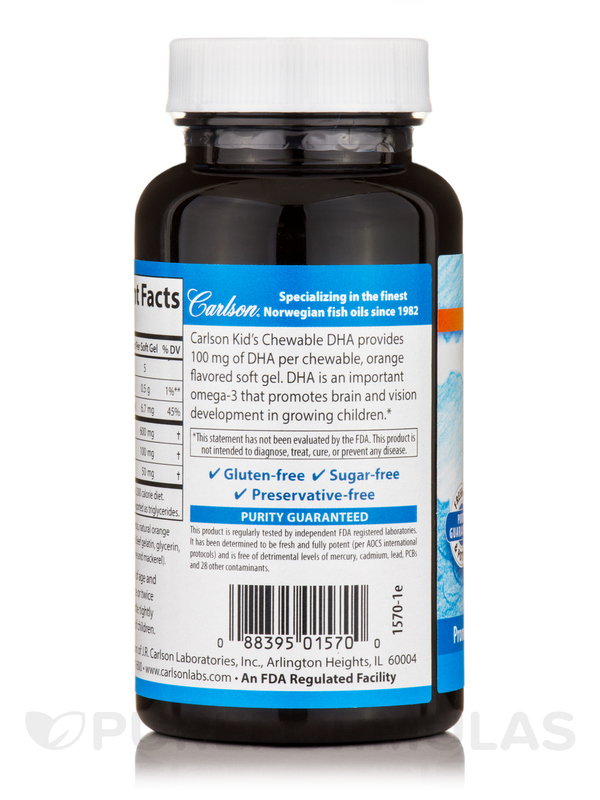 I love Carlson for Kids Chewable DHA by Carlson Labs and so do my kids! They are picky picky about what goes in their mouths, especially fish oil! But this stuff is great for their minds and bodies and has been a hassle free experience. 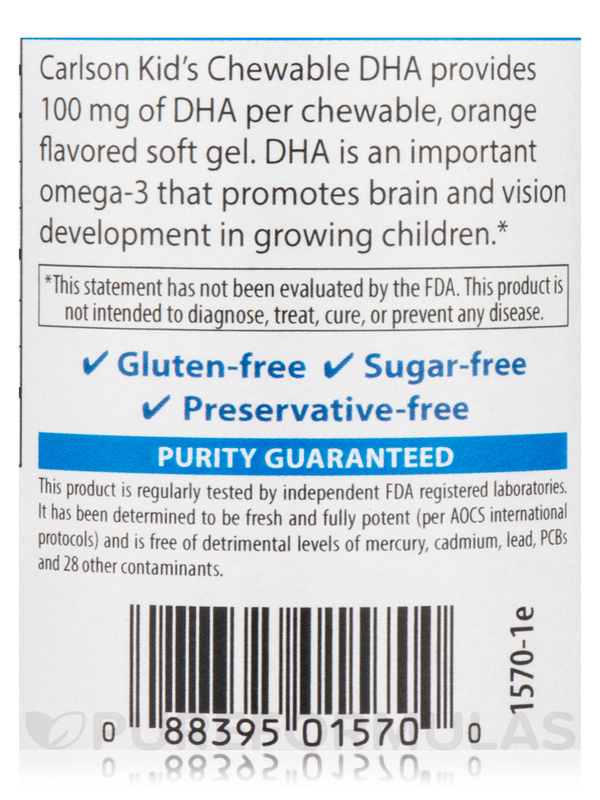 Carlson for Kids Chewable DHA Bursting Orange Flavor provides immune support for children. 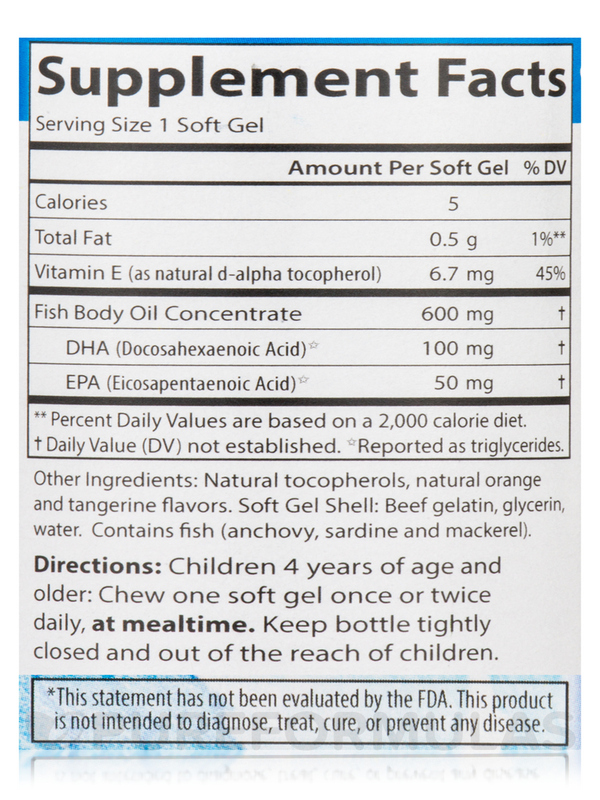 Carlson for Kids Chewable DHA Bursting Orange Flavor contains Fish Oil Concentrate‚ which is rich in Docosahexaenoic Acid (DHA) and Eicosapentaenoic Acid (EPA). DHA and EPA support proper growth and development. DHA and EPA may also improve concentration and focus. 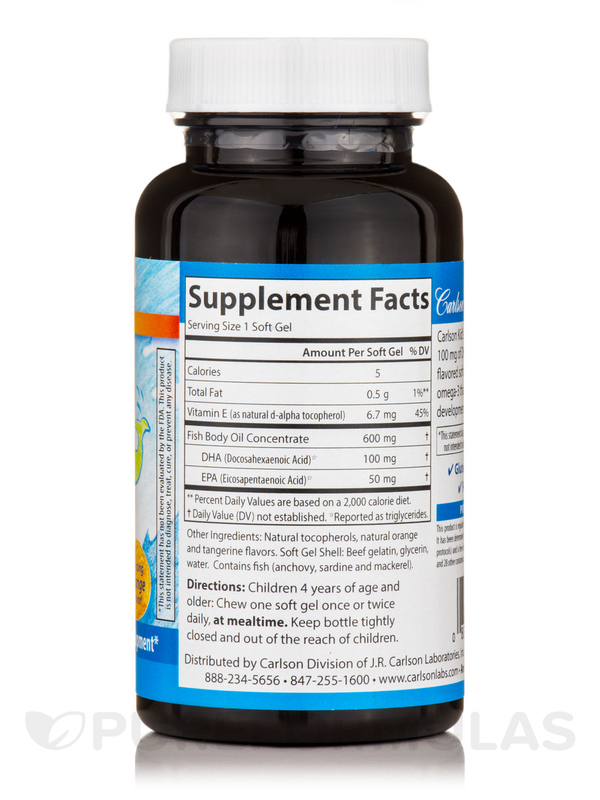 Omega-3‚ which is obtained from Fish Oil Concentrate‚ assists in improving the cognitive functions of the brain and relieving feelings of sadness. Vitamin E helps improve the immune functions and protect cells from damage. Vitamin E may also fight viruses that cause infections. 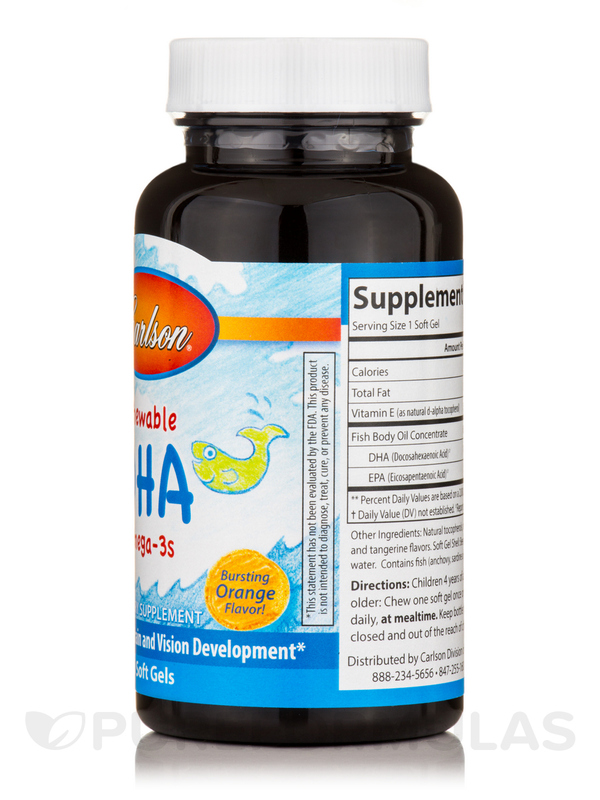 Carlson for Kids Chewable DHA Bursting Orange Flavor is an ideal supplement for a healthy‚ growing child. Other Ingredients: Natural tocopherols‚ natural orange and tangerine flavors. Soft Gel Shell: Beef gelatin‚ glycerin‚ water. Contains Fish (Anchovy‚ Sardine and Mackerel). Children 4 years of age and older: Chew one soft gel once or twice daily‚ at mealtime. Allergen Caution: Contains Fish (Anchovy‚ Sardine and Mackerel). I bought these Carlson for Kids Chewable DHA Bursting Orange Flavor by Carlson Labs for my kids to get extra nutrients. My son loves them and enjoys biting into them, but my daughter dislikes them and won't take them. I guess it depends on your child. You either like them or you don't. I didn't think they were very good either, but my son will take them. My little three year old has no problem taking it, she loves to chew it for a long time. I love the high dosage of DHA and omega 3 compared to the price. Carlson for Kids Chewable DHA Bursting Orange Flavor by Carlson Labs is still one of my favorite supplements for my kids. It is recommended by me. 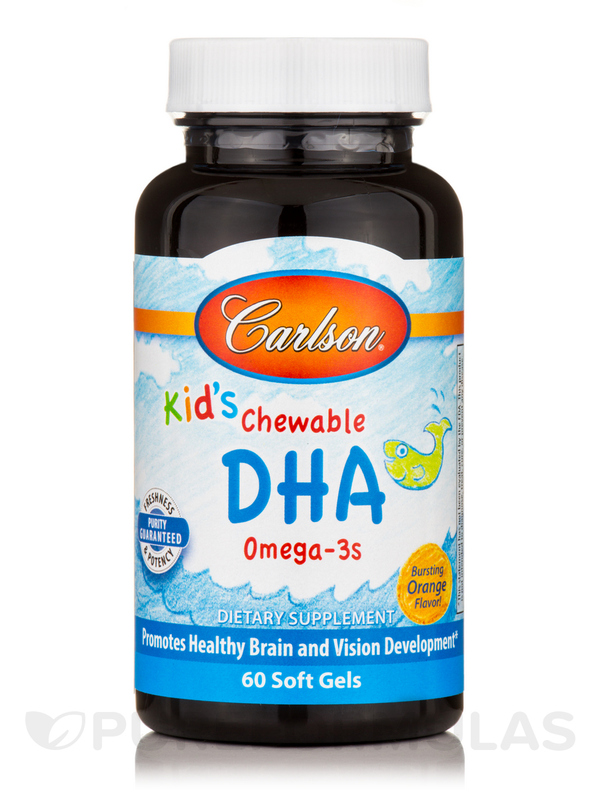 My children did not initially like Carlson for Kids Chewable DHA Bursting by Carlson Labs. I don t know if it was the flavor or the fact that they burst in your mouth. Hopefully I can get them to try them again. My son doesn't mind taking Carlson for Kids Chewable DHA by Carlson Labs although he says they are a little harder to chew than his other soft gels. We love that the dosage is only 1 soft gel instead of having to take 4 gels like others. Cheap and not low grade stuff either. Great for the price. Been happy with it so far! Gel tab is hard to chew.